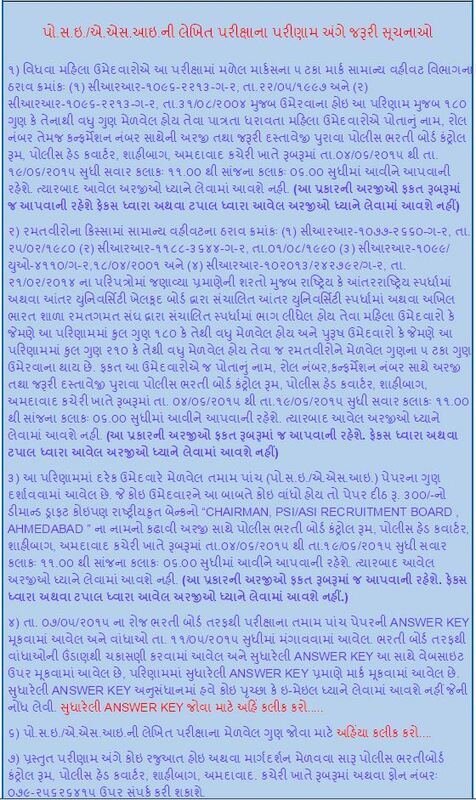 The Gujarat Police Recruitment Board (GPRB) was declared result for the Gujarat Police PSI/ASI Written Examination. The exam was held in the month of May 2015. A large number of candidates waiting for their result and marks for the post Police Sub Inspector (PSI) and Assistant Sub Inspector (ASI). The Board was also published revesed Answer key on website. Find and click on ‘PSI/ASI Marks’ Link. Check your Marks by using Name or Roll Number.